Slemon Park has a range of proven scenario-based infrastructure available for one-time training courses, long term training and permanent training providers. Slemon Park’s training facilities combine with on-site accommodations and food services to create an all-inclusive training destination. The Summerside Airport is Slemon Park’s private on-site airfield. 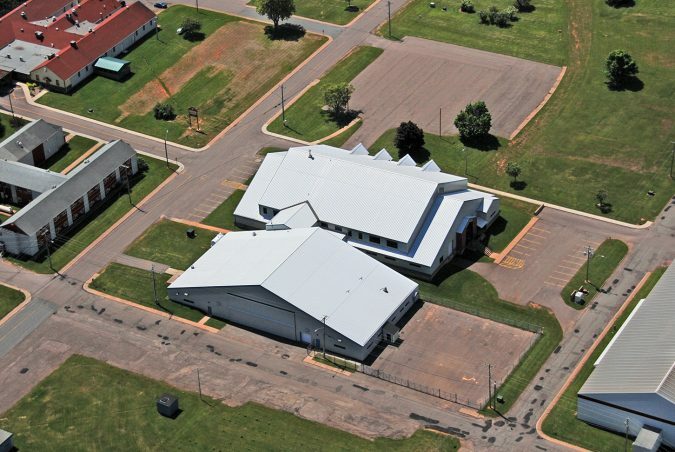 The Summerside Airport is a full service fixed base operator (FBO) that does not host any commercial air traffic, making it readily available space to conduct aviation training and driver education exercises. The advantages that make Summerside Airport a unique training asset include; a main runway measuring 8,000 by 200 ft., two decommissioned runways utilised for driver training, low landing and facility fees, quick turnaround time and quality, friendly service, 300+ VFR days per year, an Automated Weather Observing System, and extensive ramp service. Slemon Park’s scenario based training village caters to a wide variety of scenario-based training endeavours. The village is a series of private paved roadways surrounded by greenspace and several shelters. It has a gated entrance, multiple access points, and is located on the Malpeque Bay. Slemon Park’s defensive tactics room is a 2,200 sq. ft. facility with padded floors made up of tactical training mats. The facility is conveniently equipped with showers and washrooms. The Slemon Park Training Centre is a 7,100 sq. ft. facility complete with both a scenario annex and classroom space. It is designed to host various training courses, as well as associated meetings, lectures, briefings and debriefings. The scenario annex is a two-level space with multiple hallways, stairways, access points and room configurations conducive to a variety of training events. The connected classroom space has 4 meeting rooms, each of which can host 30-40 people. 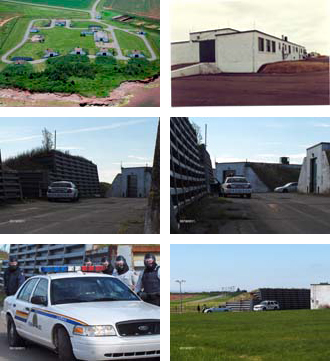 The Canadian Centre of Public Safety Excellence (CCPSE) is a partnership between Slemon Park and the Atlantic Police Academy located on-site. The centre combines the training assets and services of the two entities. For more information regarding CCPSE, visit www.ccpse.ca.